Collecting data in areas hit hard by the Ebola virus requires a tablet that is protected against contamination. So Doctors Without Borders requested that Google build them a tablet that would be Ebola-proof. Based on a Sony Xperia tablet, Google housed the device in a special casing to make sure that the slate could withstand the high humidity and storms that occur in West Africa. Additionally, an extra level of protection around the tablet allows it to be dipped in chlorine to kill off any remnants of the Ebola virus. Sharp edges have been rounded off to make sure that the slate doesn't piece Doctors' protective clothing. And to keep openings on the tablet to a minimum, the device recharges wirelessly. Since passing pen and paper back and forth in the region could be considered very dangerous, there is no question that this tablet will come in handy, especially when it comes to crunching numbers. Previously, some Doctors had to shout out patient information from inside the protective zone to a person taking notes on the outside. Note only did this lead to errors, it also wasted Doctors' time as they stood heavily dressed in protective garb with the hot African sun beating down upon them. The tablet could also lead to some breakthroughs. Collecting more data will help those in the medical profession better understand how to beat the virus. Will I get android lollipop? Funny when you're okay, you think the world are. Was really worried when this hit Nigeria but since its containment, doubt anybody here believes it's still raging on. My sympathy to the countries still with cases of this. It's good there's a cheap solution and all credit to Google for making it happen. OTOH, it's too bad that funding isn't sufficient for tablets designed specifically for health care and EMS. An example would be Motion's C5m Windows tablet which, in addition to being disinfectable, is MIL-STD-810G and IP54 certified, packs 4G XLTE, has an active digitizer, and, possibly most important in the field, has a handle integrated as part of its chassis. 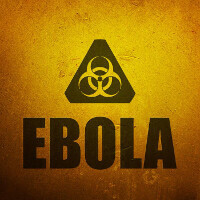 Unfortunately, Ebola is viewed in the US as yesterday's news and a third world problem. We'd rather spend money on gold-plated weapons systems and rely on underfunded charities like Doctors Without Borders to do the important work. "Note only did this lead to errors..." How ironic. It would be nice to have someone that can actually proofread their articles before posting them. 2 edits that need to be made are: 1) "...the slate doesn't pierce..." not "...the slate doesn't piece..." 2) "Not only did this..." instead of "Note only did this..."
This is the biggest mistake ever. The heat of the tablet will cause serious health problems. The gloves(which are actually paper) together with the polycarbonate will cause cancer to the people who use it( THE WOMAN IN THE PICTURE HAS CANCER-SEE HER FACE). The virus can get into the body of the users cause the heat together with the plastic(pol.) and the paper will let the virus get in( The WOMAN IN THE PICTURE IS IN DANGER). THIS IS NOT FUNNY, YOU WILL KILL EVERYONE( THE VIRUS CAN GET INTO THE TRAUMAS AND SPREAD EVERYWHERE. BE F****NG SERIOUS).